If you’ve invested and have a large knowledge base around Windows Embedded CE/Compact, why not extend the life time of the present product or even re-use it for new projects? Moving from Windows CE/Compact to Linux can be a daunting and rocky road. It can require a different engineering skill set. Plus the choices and options of which components to select are huge. So the simplest answer is do not switch! 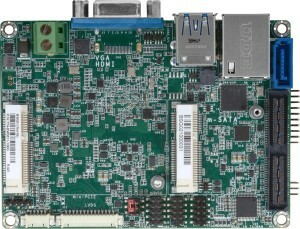 Today we can offer Windows Embedded Compact 7 for the Triton-TX6UL module with i.MX6 Ultralite processor . Many companies which created target devices using Windows CE 5 or 6 are still shipping them. But it’s increasingly difficult to maintain these products – the challenges include EOL of Processor, outdated development tools, the ending of Windows CE support and security updates, plus the approaching end of license sales. By migrating to the Triton-TX6UL and WEC7, companies can re-use their existing application code, upgrade to a modern and power-efficient ARM Cortex-A7 core as used by the i.MX6 Ultralite, and use later Microsoft Visual Studio tools for development. Most importantly, product life is extended, – the Triton-TX6UL has a guaranteed lifetime until at least 2030, and Microsoft WEC7 licenses will ship from Microsoft until 2026. Direct Insight has continuously developed and supported customers with Windows Embedded for 10+ years. With all our engineers being Microsoft Certified Specialists and the company having the accolade of Embedded Gold Partner, plus Training Partner. Taking this choice allows you to re-use existing application code and knowledge. Plus as the Triton-TX6UL is hardware pin-compatible with all Triton-TX system on modules (SOMs). It allows you to make additional use of the modules equipped with i.MX6 Solo, DualLite and Quad. These also have Windows Compact 7 and 2013 binary BSPs available. The Triton-TX6UL Compact 7 BSP is available in a Binary or Full Source Code package. So you can fully support your project and target hardware requirements, whatever they have or will be. Microsoft has refreshed its commercial strategy around Windows 10 IoT Enterprise - and this powerful quad-core industrial PC board qualifies for the lowest cost "Entry" licence, slashing the project BoM cost. 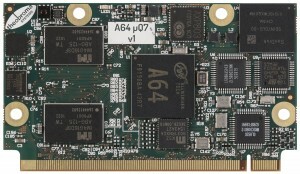 A64-uQ7 micro-Qseven module with Allwinner A64 processor offers 4K HDMI and dual-LVDS display support along with full Gigabit Ethernet and advanced power management.